ISIS has confounded its critics. Instead of dynamiting the priceless temples and colonnades of Palmyra, Syria’s most visited UNESCO World Heritage site, it has blown up the cells and torture chambers of nearby Tadmur prison, Syria’s most powerful symbol of Assad regime brutality. Palmyra’s prison, synonymous with suffering in the minds of Syrians, represents perhaps more than any single building in Syria, the 40-year Assad stranglehold on its people. This carefully staged PR coup will have gained it many friends, even from among those who would have thought themselves anti-ISIS. It is like a loud fanfare announcing: Beware, Bashar, your days are numbered and we are on our way to get you. 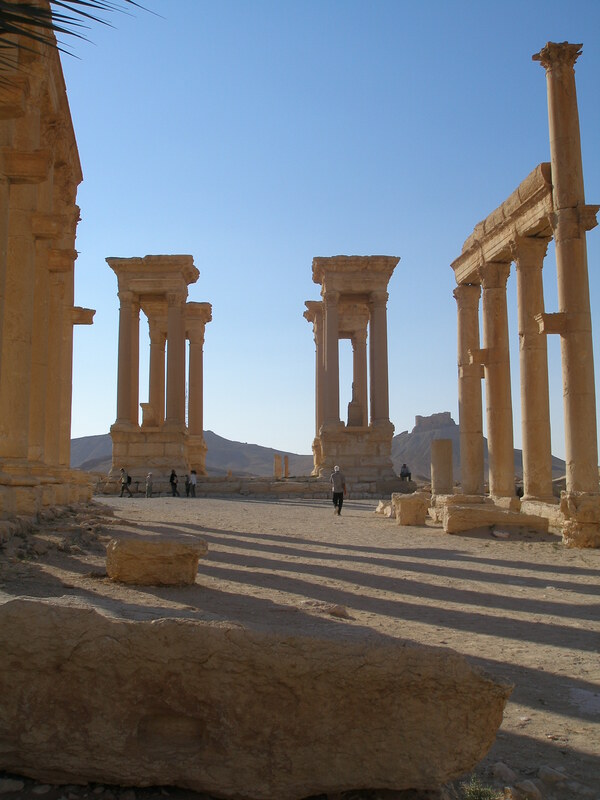 Think of the wealth that ISIS now has at its disposal through its capture of Palmyra. With the prize of the ancient city came other prizes: the oilfields to the north and the military hardware captured from the regime’s nearby airbase, T4, thought to include 21 tanks, 12,000 machine guns and 40 ammunition stores. Then came capture of the last regime-held border crossing into Iraq, at al-Tanf due east of Damascus with its own road linking into the Palmyra highway to the capital. And don’t forget the sheep. The Sunni tribes of this Syrian semi-desert steppeland, known as Badiat ash-Sham, still number around one million, and are mainly nomadic Bedouin from the Rwala, Beni Sakhr and Beni Khaled tribes. Syria was one of the first lands to be inhabited by the Bedouin outside the Arabian Peninsula and today these Bedouin still rear most of Syria’s sheep, considered the tastiest in the Middle East. Every year 10 million of them are exported to Saudi Arabia, earning high yields. Four centuries before the advent of Islam the historic oasis city of Palmyra grew wealthy from the taxes it levied on goods transiting the Silk Road via camel caravans. The highest taxes, according to the famous bilingual Greek/Aramaic ‘Palmyra Tariff’ stone, were due on perfumes, dried fish, olive oil, water and prostitutes. 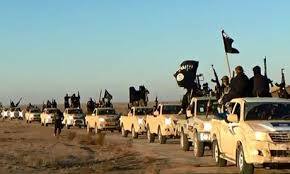 Now ISIS has captured today’s equivalent wealth for itself – oil, military equipment, sheep plus potential extra manpower from the local Sunni tribes. In addition it will no doubt harvest the archaeological site for artefacts, levying its usual 20% tax on anything dug up from the outlying areas. Armed with all Palmyra’s many forms of wealth, ISIS sees the open road to Damascus, to the exposed heart of the Assad regime. There are few settlements en route, just two more airbases where even more military hardware can be harvested. Inside Syria ISIS has seen that the international community is impotent, with no unified strategic policy, while Assad’s army is in retreat. The world’s media pours out articles eulogising the ruins, while ISIS thrives like a germ in the perfect environment on the chaos deep inside Syria. May the world’s attention remain focussed on Palmyra long enough to understand that until Syria’s chaos is solved, ISIS will multiply exponentially and grow beyond anyone’s ability to stop it. 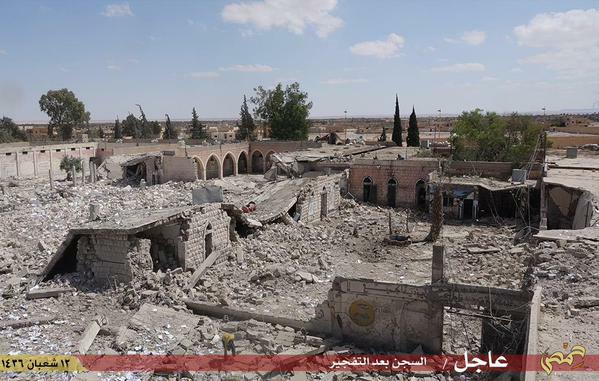 Damascus is in their sights and Palmyra has been their launchpad.